Throw some chicken strips in there and it will be irresistible. Hard work makes it more worthwhile. So in love with the color green. Asparagus is bountiful in Spring. 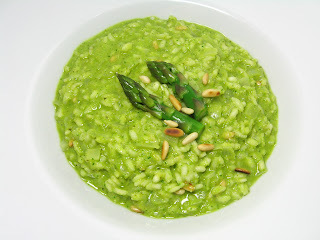 I love risotto for the same reason - you can do just about anything with it. It's funny how people will complain that 20 minutes of stirring is "too much work" but will fawn over cutesy TV cooks who dirty multiple pots and are constantly in motion in order to get a meal made in "30 minutes" (uh huh). 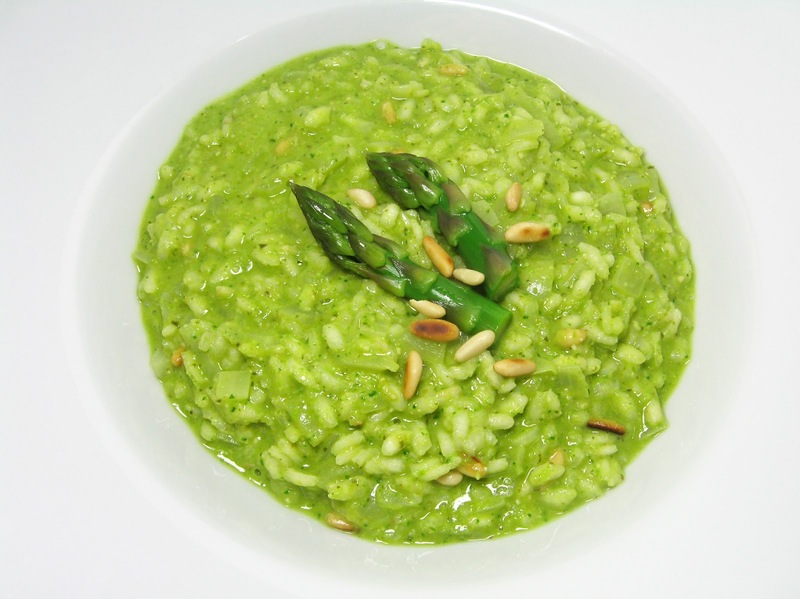 I have put asparagus bites in my risotto, but never though to just grind it up in there. Will have to try. Lovely color and looks delicious. So simple to prepare.